SUPER CLEAN Z71 4X4 WITH FACTORY WARRANTY!!! This one-owner nicely equipped vehicle is an off lease purchase by Pinnacle Auto Sales. The vehicle is very nice and is indicative of "lease turn-in" vehicles, as most are well cared for. The lessee (drivers of the leased car) are motivated to care for the car because they have an option to buy after the lease and in the event they don't buy, get charged for any damage in excess of normal wear and tear. So you reap the better value with a lower price on a like-new vehicle. This Z71 is real nice!! one owner and it shows!! 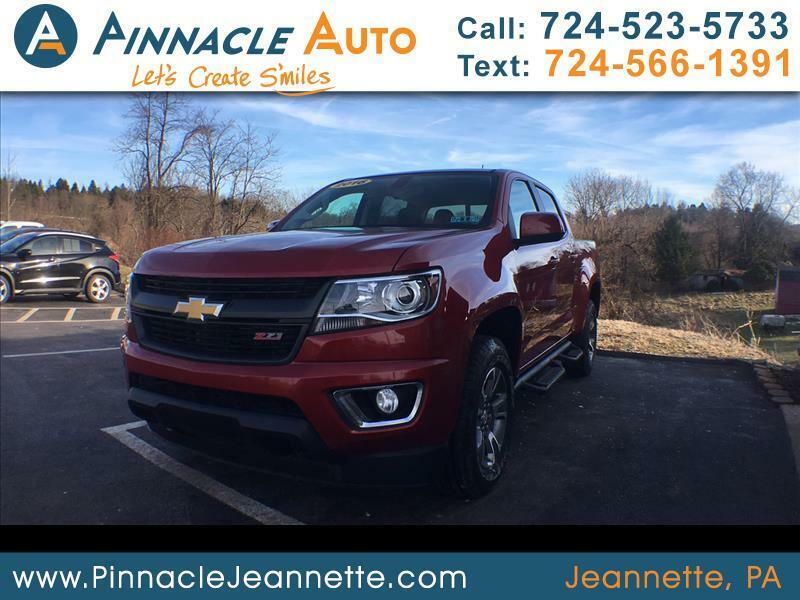 Visit Pinnacle Auto Sales online at pinnacleautosales.com to see more pictures of this vehicle or call us at 724-523-5733 today to schedule your test drive. INTERNET SALE PRICES EXCLUDE STATE SALES TAX AND FEES. WHILE WE MAKE EVERY EFFORT TO BE ACCURATE IN OUR VEHICLE DESCRIPTION WE ARE NOT RESPONSIBLE FOR ERRORS OR OMISSIONS IN EQUIPMENT LISTS.